Our Santa Monica breakfast catering services make for a great addition to any large get-together, especially a corporate event, because all of the hard work is taken care of by the professionals. 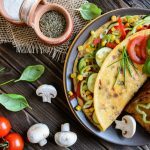 From preparing the meals, providing them to your guests, and cleaning up afterwards, Mr. Omelette Caterers provides the best Santa Monica breakfast catering no matter how big the party. When it comes to professional breakfast catering services in Santa Monica, no one does it like Mr. Omelette Caterers. We guarantee healthy, delicious food as well as safe food handling practices, perfect for professional settings like corporate events. Getting an event like that together can be stressful enough, the last thing you should have to worry about is making breakfast for everyone. 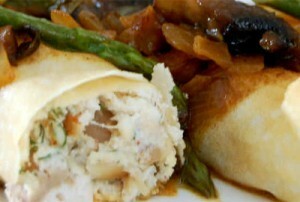 With Mr. Omelette Caterers Santa Monica breakfast catering, you can leave all of the meal responsibilities to us. We take pride in excellent customer service, working with all of our customers and coordinating our services in order to make any corporate event something special. You can count on us to provide everything needed for a successful catering event. 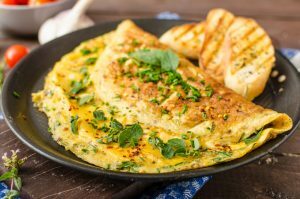 Mr. Omelette Caterers is happy to provide our services to the beautiful Santa Monica area, and you can rely on us because our Santa Monica breakfast catering covers such a wide area. We are happy to provide service to people of all backgrounds and religions, hosting Easter events just as soon as Bar Mitzvahs. This option also lets you choose one of three salad options; Crisp Caesar Salad, Spinach With Field of Greens Salad, or Fresh Greek Salad. You can also choose from two different bread options; Raisin Pumpernickel Bread or our Fresh Assorted Bagels. Mr. Omelette Party Deluxe: We will start you off with Six Hot Hor d’Oeuvres; Spanikopita, Potato Puffs, Mini Pizzas, Artichoke Stuffed Mushrooms, Stuffed Grape Leaves, and Sundried Tomato Pesto Bruschetta. You also get our Imported and Domestic Cheese Platter with Breadsticks and Crackers, and Raw Vegetable Crudite With Dip. You can also choose two salads from these three options: Crisp Caesar Salad, Fresh Greek Salad, or Spinach With Field of Greens Salad. We also provide our Homemade Vegetable Neapolitan Lasagna (or you can choose any pasta from our Mrs. Pasta Party menu), an Assorted Smoked Fish Platter made with Whole White Fish, Sable, Hand Cut Nova garnished with Lemons and Capers, our Fresh Assorted Bagels and Croissants, and Raisin Pumpernickel Bread. For dessert, we offer Occasion Sheet Cake, Ice Cream or Yogurt Bar with Toppings, Fresh Fruit Display with Berries, Mini Danish and Rugelach, Mini French Pastries, Assorted Fresh Baked Cookies, and Gourmet Bars. Beverages include coffee, tea, and soft drinks. For beverages, you can choose either Tropicana Orange Juice or our selection of coffee/tea/condiments. Spinach (with Fresh Mushrooms and Feta Cheese). Our Mexican Crepe Fillings include Black Beans, Corn, Pepper Jack Cheese, and Tri Colored Peppers topped with Sour Cream, Guacamole, and Chopped Tomato. Our Crepes A La Carte are made-to order crepes prepared by our chef. These include: Asparagus, Fresh Spinach, Fresh Broccoli, Grilled Onions, Sundried Tomatoes, Tri Colored Peppers, Monterey Jack Cheese, Cheddar Cheese, and Fresh Tomato Salsa, all served with a Cheese Morne Sauce (which counts as two fillings). With this option you also get our Crisp Caesar Salad and a basket of Fresh Buttered Croissants. Our Santa Monica breakfast catering services will ensure that no one goes away with an empty stomach. Our meals are professionally prepared and served. When it comes to premier Santa Monica breakfast catering, you can rely on us. 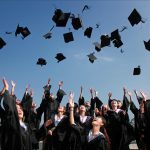 We have been in the business of catering for over 25 years, and with that experience comes the kind of expertise you can only get from the professionals, as well as a reputation of high quality catering events. On our service pages, we have downloadable menus outlining what our Santa Monica breakfast catering services consist of, and you can print them off and have on hand. 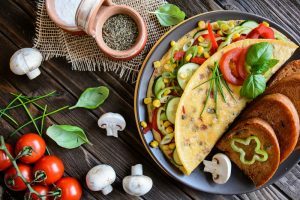 If you have a big corporate event or other kind of get-together coming up, you can rely on Mr. Omelette Caterers for professional Santa Monica breakfast catering.